My first Fred. Olsen Cruise Lines experience was in June 2014, a 14-night Baltic itinerary that also offered transits of the Kiel Canal. I hadn’t been entirely sure what to expect from the Baltic countries or from Braemar, but it turned out to be one of the best cruises I have ever done – I have a deep love for the Baltic region now and would highly recommend that everyone visit at least once during their time here on earth. I am sure I have told you all about it before, but our ports of call included Tallinn, St Petersburg, Stockholm, Travemunde, Copenhagen and Kiel. I enjoyed my time in all of the ports, but my favourite was most definitely Tallinn, which was followed closely by Stockholm. I enjoyed the cruise so much that I went back there just a few months ago with Saga Cruises. My blog today, however, is not about the Baltic, but it is about Fred. Olsen Cruise Lines, as I am about to embark on an 11-night British Isles voyage aboard Boudicca – yet another new itinerary and another new ship for me – and I am very much looking forward to it. The name of the voyage is ‘Myths & Legends’ and our ports of call are: Portsmouth, Falmouth, Cobh, Dublin, Belfast, Kirkwall, Invergordon and Rosyth. I have a few shore excursions planned, although I didn’t opt to do something in every port as I like a balance of organised tours and self-exploration – it’s no fun when everything is planned for you all of the time. 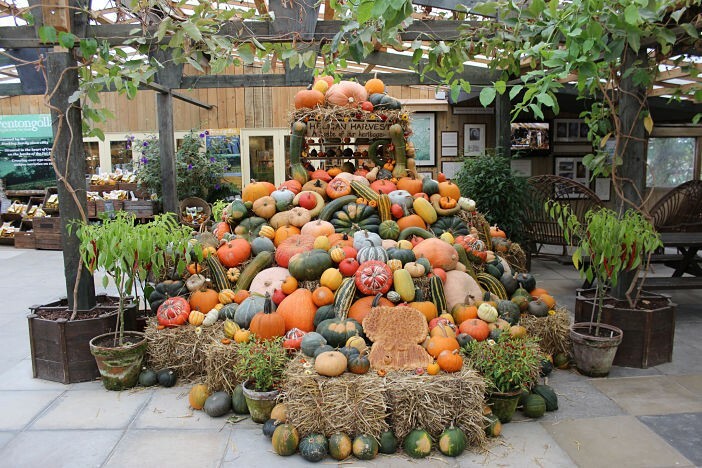 I think one of the tours I am most looking forward to is The Lost Gardens of Heligan. The gardens were created by members of the Cornish Tremayne family from the mid-18th century to the beginning of the 20th century, and still form part of the family’s Heligan estate, but they were neglected after the First World War and only recently restored in the 1990s. I don’t know yet if I will love it or hate it, but I do quite like to do something different and I definitely think this was the perfect option. I have also opted to visit the Jameson Distillery during our call to Cobh, Titanic Belfast during our call to Belfast, Orkney Island tour during our visit to Kirkwall and a Sea Safari Adventure in Invergordon – basically, this includes a high-speed rib and wildlife spotting. Perfect! The voyage, as I mentioned earlier, is aboard Fred. 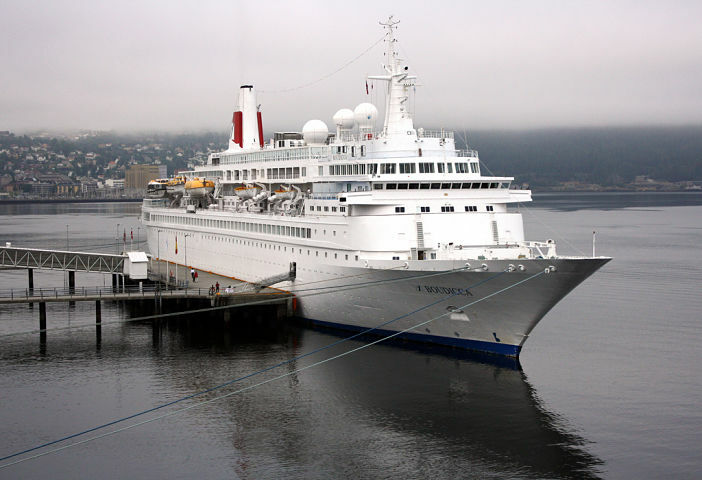 Olsen Cruise Lines Boudicca, a new ship for me and a ship somewhat older than I usually find myself aboard. 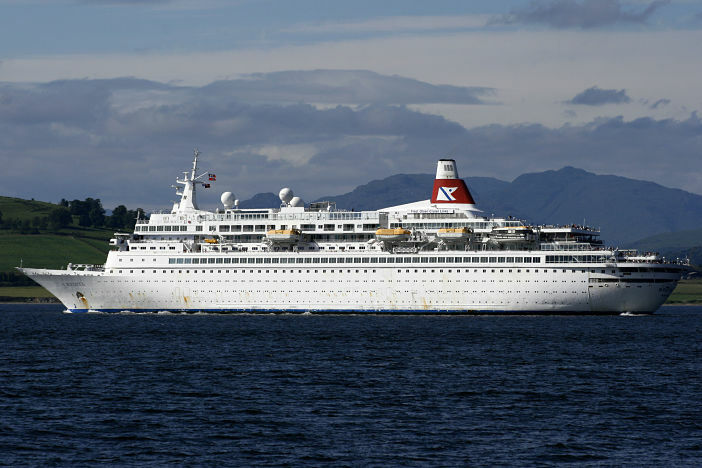 Boudicca was built in Finland in 1973, and offers her guests several dining options, the Lido Lounge, card room, library, swimming pool, fitness centre and more. She is similar in design to her sister Black Watch, which I visited earlier this year when she paid a visit to Port of Tyne. So, the countdown app is running (to be honest it has been running for quite some time now) and soon I must start thinking about packing. I think the packing fiasco will be a little easier this time though as I recently found myself with 3 brand new – and rather lovely – art-deco range suitcases from SkyFlite London, and Boudicca will have the pleasure of seeing them before anyone else. Here’s to the wonderful British Isles and a chance for me to get to know my own roots a little better! Images sourced via Flickr Creative Commons. Credit: Trondheim Havn, Hannah Hawke, Robert Orr. My first Fred. Olsen Cruise Lines experience was in June 2014, a 14-night Baltic itinerary that also offered transits of the Kiel Canal.